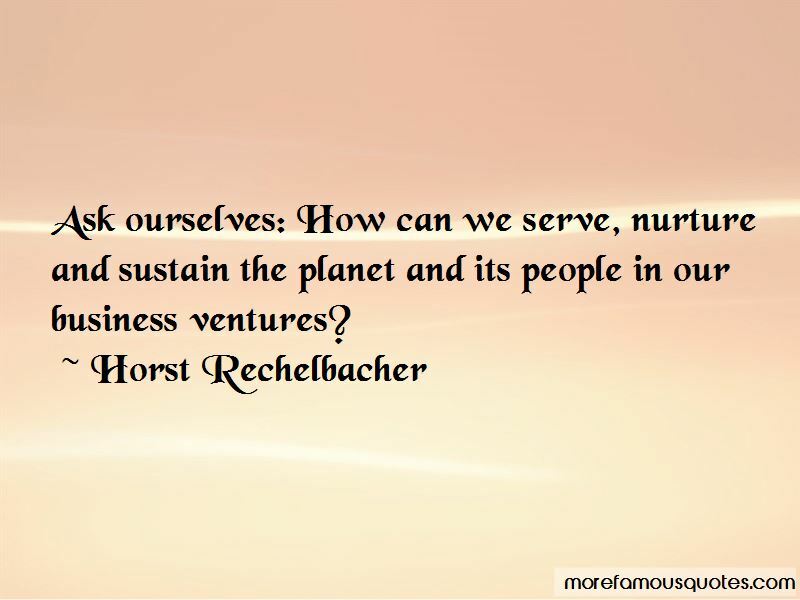 Enjoy the top 19 famous quotes, sayings and quotations by Horst Rechelbacher. It's important to let go, calm down, and get grounded. We need to listen to ourselves. When one becomes aware that our present-moment thoughts are not productive, one should simply let them go. Change a negative thought to a positive one. 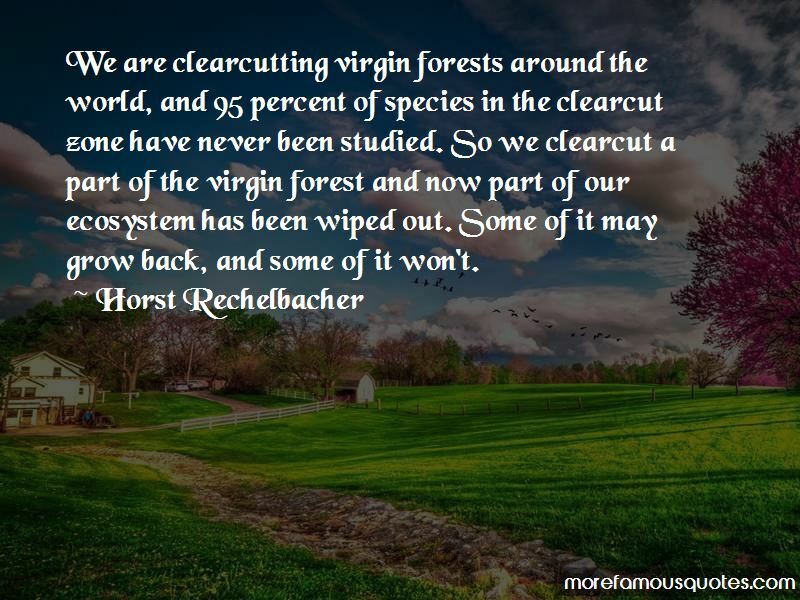 We are clearcutting virgin forests around the world, and 95 percent of species in the clearcut zone have never been studied. So we clearcut a part of the virgin forest and now part of our ecosystem has been wiped out. Some of it may grow back, and some of it won't. Nothing should be used anywhere that is not edible. We should not clean our house with substances that are toxic carcinogens. It's not necessary. There are anti-bacterial agents, and antiseptic agents, that are non-toxic. That's really our focus, and my personal focus: to make consumer goods that don't just smell good, but taste good, and can be used to anoint one's self and also the environment in which you are living in. Our nature is intelligent. In fact, everything is intelligent. Intelligence for me is information. Information is intelligence. And then there is information driven by energetics. And the energetics is operated by the matter, which has manifested here. This is where you and I come in. The human body is matter. Plant material, and this tea I am drinking, is matter. Availability of the best also is limited in our culture. And it's also extremely expensive. It's ridiculous. A kilogram of rose oil costs me very much. By the time it is shipped here and we pay tariffs, how much more do I have to charge the consumer? And then who could afford to buy it? That is why people sell synthetic rose and end up poisoning themselves. It shouldn't be that way. You can create substances with other naturally grown substances and you can synthesize beautiful bouquets of flowers without spending an arm and a leg, using the citrus fruits, which are much more affordable than flowers, because you need so many flowers to create the essences. In this country [USA], there is not a traditional science of making it. The Native Americans never did it. They bundled the sage. 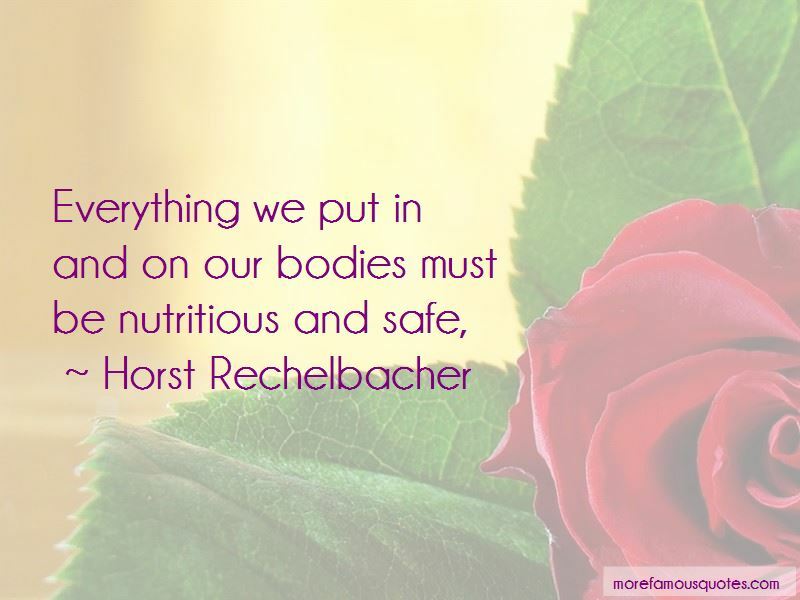 Want to see more pictures of Horst Rechelbacher quotes? 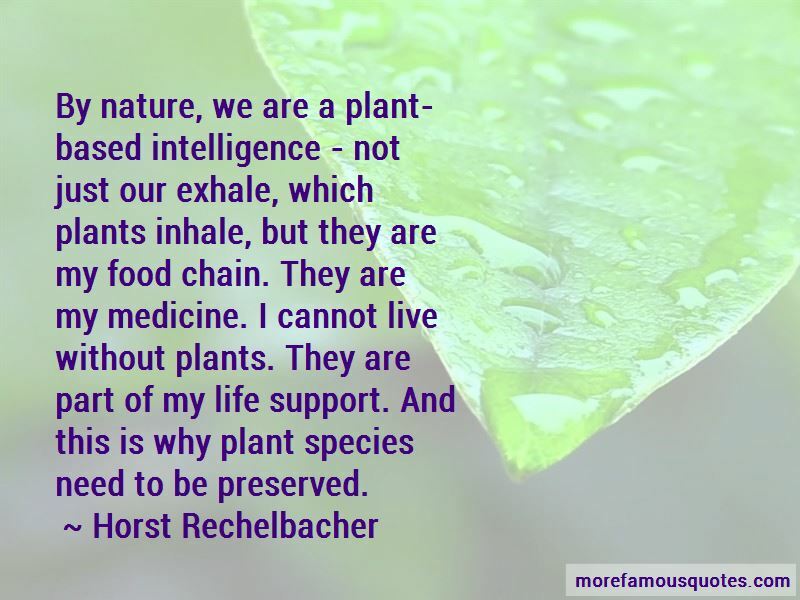 Click on image of Horst Rechelbacher quotes to view full size.